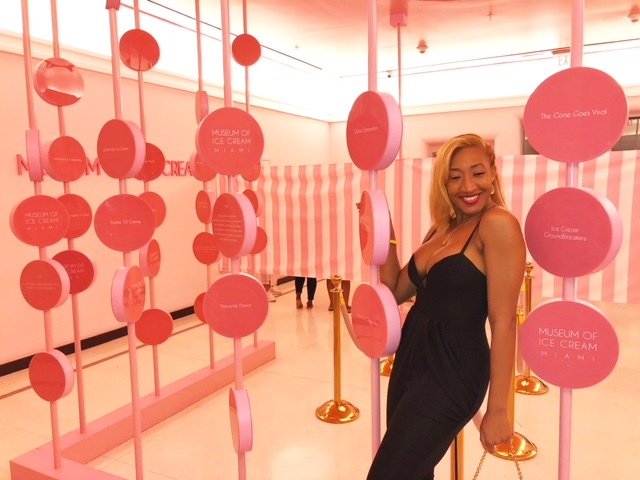 I love Ice cream, I love museums, but I never thought combining the two would end up in creating one of the most coveted tickets you can get today at the Museum of Ice Cream. In today’s world of viral attention I often can be left feeling a little skeptical over things that are hyped. 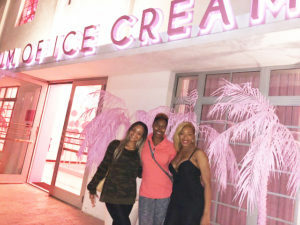 So when my friend first was interested in the Museum of Ice Cream when we were on vacay in LA I thought how much fun can a museum about ice cream be? So as I prepped to head to Miami and got the scoop from a friend that the travelling museum had extended its stay in Miami I thought well why not, if it’s so in demand let me go check out what all of the hoopla is about. 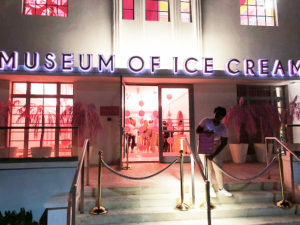 In approaching the lit building hosting the Museum of Ice Cream in Miami I quickly had my low expectations checked at the door by the entertaining host. We were each told a little about the museum and most importantly were challenged with coming up with an ice cream name. The energy and spirit of fun that this set at the door and carries throughout your visit makes the museum the unique and sought-after go so space that it is. You quickly learn you are not going for the ice cream you are there for the experience. So with my friends and I hype and my name “Unicorn Sherbet” on lock we began to wind our way through the museum. As I entered the pink dipped building I began to understand that despite the name the “museum” was more of an ambiance than a place. 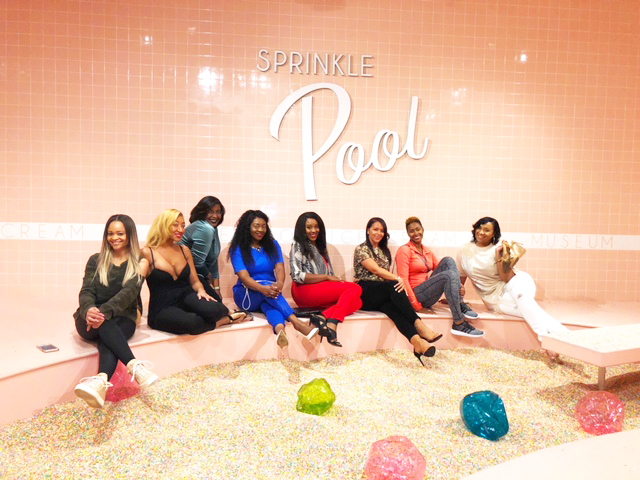 Yep the full vibe was confirmed with our firs stop, the sprinkle pool. Yes a full pool filled with sprinkles, plastic albeit, was a great way to literally dive into the fun of the Museum of Ice Cream. And as you weave your way through the ascending stops you find each room of the museum was uniquely dedicated not specifically to ice cream, but to some of the best nostalgic feelings around ice cream, that of your childhood. From the look of old school ice cream parlors to giant floating balloon installations to word scrambles and even sandboxes the museum is less about ice cream and more about the laughs and fun of your childhood that gives ice cream the romanticized feeling that it has. As I worked my way through the rooms with my friends, each room providing a completely different look and ice cream sample, my mind was not just filled with fun times from my past but incredible times from my presence and the opportunity to leave the adulting and just have fun. So no, the ice cream was not the best part of the tour. Instead the best part of the museum was found in the reconnection to an 8 year old who loved to dance, swing, build sand castles and most of all soak in every moment as the future seemed too far away and the past was a distant memory. If ice cream was a big part of your favorite memories check out the ice cream museum to reminiscent and if not just go out and take 45 minutes to be a kid again and love every second of it.